The Exe is a great spot. The estuary runs pretty much north to south, so with the prevailing westerlies, you can run up and down river quite happily. According to the Starcross Yacht Club site "Around HW we have an almost land-locked lake. Its 3-4 miles long, and about ¾ mile wide." The river does have a strong tide on it and at the mouth of the Estuary in the channel between Exmouth Dock and Dawlish Warren the tide can run at 7 knots I am told. Heading past Lympstone with Exmouth on the Starboard bow. 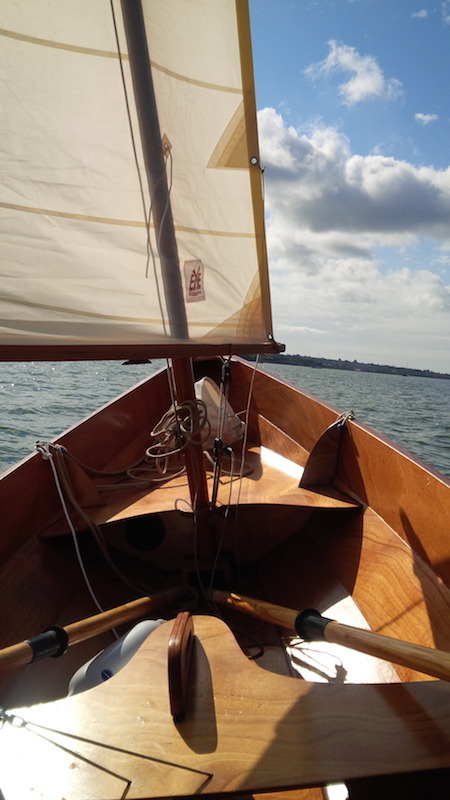 A classic evening sail on the Exe this weekend. 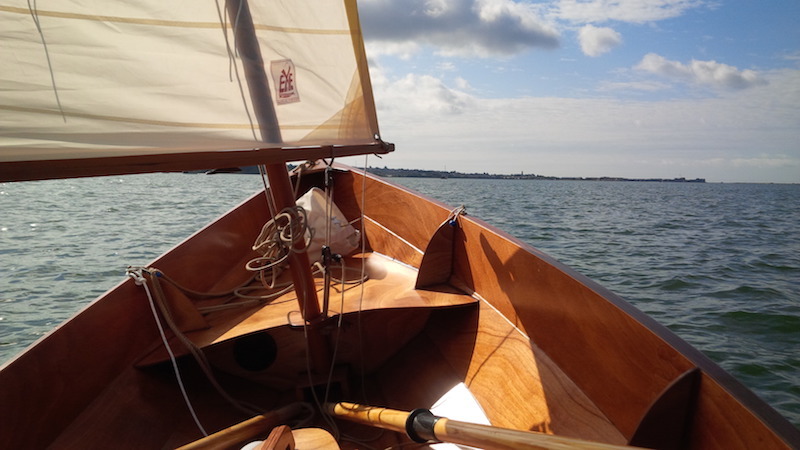 The great thing about the Skerry is that she's very easy for the single-handed sailor, especially with the balanced lug rig which you can strike in a matter of seconds when coming to shore or if you hit a spot of bother. 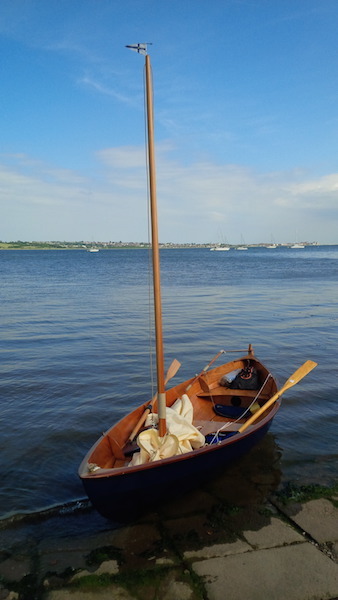 We have some hard standing on the slip at the boat club, so I am nervous about sailing in, much better to drop the rig and row ashore.